RIM is expected to offer a version 2 of the QNX OS that powers the BlackBerry PlayBook soon. At the same time, the Canadian based manufacturer has said that developer models of the QNX flavored BlackBerry SuperPhones will allegedly be displayed at DevCon. RIM is going to bring together the tablet version of the QNX OS and the version being used on its SuperPhones by rebranding the platform. 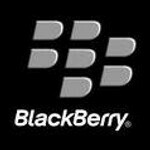 Crackberry says it has heard from more than one source that RIM will rename the QNX OS for both its SuperPhones and tablets as BlackBerry X or BBX for short. It will be easy for RIM to differentiate its Superphones from other smartphones it has made by stressing that the new models offer the BBX OS on board. It also seems to go with some of the competitors names. We will have iOS, Android, Windows Phone Mango and BBX. Sounds good, yes? With DevCon Americas starting October 18th in San Francisco, it probably makes a lot of sense for RIM to lay low now during the Apple iPhone hype and then make a splash at DevCon. We sure are anxious to see what the developer version of BlackBerry's SuperPhone looks like. This will probably be RIM's last chance to close the gap in hardware and software between its smartphones and the Apple iPhone, Android powered models, and those than run on Windows Phone 7.5 including all of the new Nokia models expected. In the past, RIM has disappointed with the release of the BlackBerry Storm and BlackBerry Torch 9800. However, the company has had some success with the launch of its new BlackBerry 7 OS models such as the BlackBerry Bold 9900/9930, the BlackBerry Torch 9850/9860 and the BlackBerry Torch 9810.
when they announced QNX, they said it wasn't legacy supported. Sorry- your Torch will be left out of the fun. Won't they hurry up already!